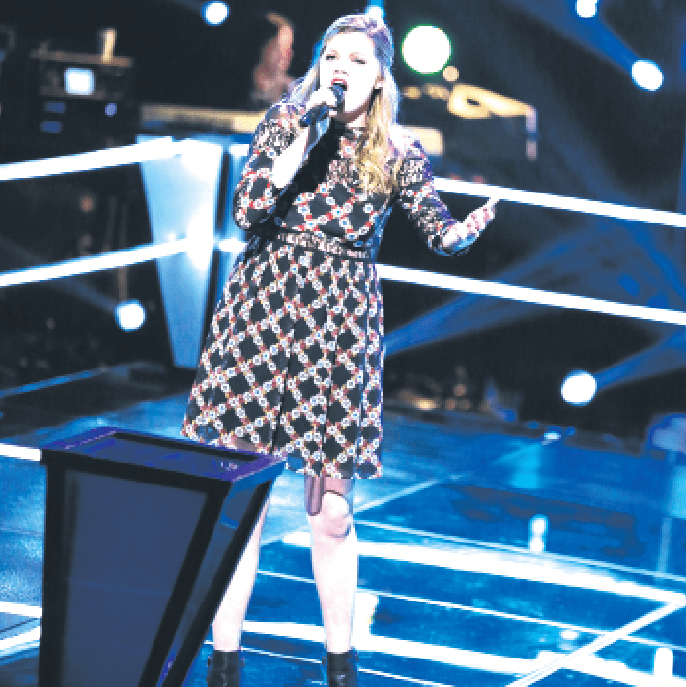 Residents will see a familiar face when they tune in to NBC’s “The Voice” this week when 22-year-old Caity Peters competes as one of the two-time Emmy Award-winning show’s Top 20 contestants. A graduate of Valley Christian High School, Peters continues to shine now competing on the live show for audience votes. Deciding on a whim to audition for the show and forego a family vacation, Peters had no idea that her performance of Labrinth’s “Jealous” would earn the season’s first “four-chair turn” in the blind auditions. With Christina Aguilera, Adam Levine, Blake Shelton, and Pharrell Williams all vying for her to represent their team, she decided to go with Williams, who continues to support the young singer. “Pharrell is the most genuine person and a musical genius,” says Peters of her decision to go with the Grammy Award-winning producer. It’s a decision that has served her well. Over the past few weeks, Peters has won the Battle and Knock Out rounds of the competition, and begins competing for audience votes on April 11. A Long Beach native, Peters attended Lakewood First Baptist Elementary and then middle and high school at Valley Christian. She is currently attending Long Beach City College, pursuing her teaching credential. Residents can see Peters on “The Voice” Mondays and Tuesdays, on NBC. Voting begins Monday, April 11.